You can look good and have a healthy smile. Most people who are unhappy with the appearance of their teeth do not realize the numerous ways cosmetic dentistry can heal a smile. Cosmetic dentistry can correct crooked teeth, spaces between your teeth, stained or discolored teeth, chipped teeth, and broken or missing teeth. Dr. Matlaga and Dr. Simmons dental offices will create a customized treatment plan for you, based on your age, goals and financial comfort level. Imagine a whiter, more brilliant smile! Porcelain veneers are a form of conservative cosmetic dentistry that can make a dramatic difference in the appearance of your teeth. If you have chipped teeth, crooked teeth, gaps in teeth or dull or stained teeth, veneers may be the perfect solution for you. Your dentist will skillfully bond and shape thin strips of porcelain to your teeth, creating a straight, brilliant smile that enhances your appearance and your self esteem. You can erase years of wear and tear with porcelain crowns through dental services. Sometimes called “caps,” porcelain crowns are customized for you, covering broken, cracked or discolored teeth. Crowns are a durable, strong, long lasting method of enhancing both the look and functionality of your smile. After some preparation of the tooth or teeth that will receive the crown(s), your dentist will position a custom milled, lifelike porcelain crown over your damaged tooth, restoring and rejuvenating your oral health. When teeth are missing, your smile undergoes significant changes. Missing teeth will cause you to chew differently, may cause mouth pain, and your remaining teeth work to compensate for the loss, gaps and spaces form to only make the situation worse. A porcelain bridge, custom designed by your doctor at Parkside Dental, keeps your smile aligned and your bite functional. Bridges are anchored to existing teeth or crowns on either side of the missing tooth. They are semi-permanent, meaning they can only be affixed or removed by a dentist and are a long-term restorative solution to your damaged smile. Opalescence® Take Home Whitening Gels are available at Parkside Dental and we will supervise your treatment from initial consultation through completion. The gel won’t migrate to gums, and most formulations include Potassium Fluoride (PF), which helps improve oral health by strengthening enamel, decreasing sensitivity, and offering increased cavity prevention. If you’re unsure what all this means, our dental offices would love to tell you more. Opalescence® Take Home Whitening Gels are delivered via customized bleaching tray. Your Parkside Dental dentist will create this tray from an alginate impression of your mouth; this customization is part of why Opalescence® Take Home Whitening Gels are so effective. You can further customize your experience by choosing from the five formulations and three flavors (mint, melon and regular). Lumineers® are similar to porcelain veneers in that they are cosmetic enhancements that are affixed to the front surfaces of your teeth. However, they require less tooth preparation than veneers and can be more comfortable during the treatment process. Lumineers® are durable and they last up to 20 years. They are also reversible, unlike traditional veneers. 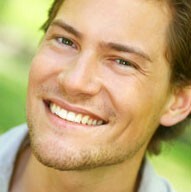 Ask your Parkside Dental dentist if you are a good candidate for Lumineers®. We’ve always been there to help with maintaining healthy teeth and gums, but there is more to accomplishing a dream smile than good oral health. Parkside Dental is now offering a full range of cosmetic procedures to give you the smile you’ve always wanted. And most of the time you’ll see the results quickly. Call our dental offices to learn more or schedule a consultation to determine the ways we can help you achieve the smile you want. What does Botox® have to do with treating dental patients? More than you might expect. Dr. Matlaga recently became certified by the American Academy of Facial Esthetics to provide Botox® and dental fillers. Low-dose Botox® injection have proven useful in relaxing facial muscles and reducing or eliminating TMJ and bruxism pain. Botox® and dermal fillers can also be used as a minimally invasive way to lower lip lines and other things that make you uncomfortable about your smile. Botox® and dermal fillers replace lengthy procedures involving crowns and oral surgery. Botox® has a 21-year record of safety and is the latest tool we have in designing a smile you’ll want to show off to the world. Call or email us today for a complimentary consultation.